The first time I saw a commercial for Siri, Apple’s “intelligent personal assistant and knowledge navigator,” I thought, really Zooey Deschanel? You can’t look outside to see if it's raining? Being rather slow to embrace new technologies, it took me a while to accept Siri’s presence in my phone and my life. Not that I don’t love the idea of a personal assistant. I just don’t find myself having many Siri moments. I suppose if I left my zip code more often, and/or owned reptiles, I would look to Siri to find good Chinese food or a store that sells iguana supplies. As for writing, I can ask Siri to spell something for me—improbable, contentious, horrific—and she does pretty well, though sometimes I do get the whole I’m sorry I can’t help you right now, try again later attitude. But when I’m working at my computer, Siri becomes superfluous—which she also knows how to spell—and I turn to her Uncle Google for help instead. 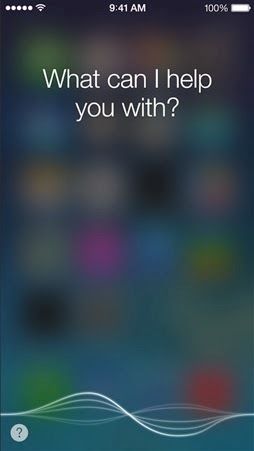 What I really need is for Siri to tell me where I left my keys or why I’m staring into the refrigerator with a blank look on my face. Though I may be coming across as underwhelmed, I do think writing using voice recognition is pretty darn amazing. For anyone with physical or visual limitations, the technology is life-changing. But I wonder if it will ever find its way into the mainstream for most writers. I can’t imagine dictating an entire novel to Siri’s word processing sister. I would miss the feel of the keys under my fingers too much. And get sick of the sound of my voice. These days, we’ve come to terms with the fact that our writing looks the same and understand that the words we choose reveal our character—and characters. Though if you try using Papyrus font for your submissions, you may find out otherwise. Do you think voice recognition will ever take the place of good old fashioned typing for writers? I love this post, Jenny! I also have a hard time imagining dictating an entire book (or even a short essay) to Siri--or any other device. My brain seems to be directly connected to my fingers as they type--I need to SEE my words. I never say never when it comes to trying new technology. For the moment, though, I think I write better through my keyboard than I do pen and paper or would with dictation. I doubt Siri will take the place of typing, but I'm sure it comes in handy. I have a totally blind friend who uses her all the time. She's not able to look out the window to see if it is snowing so she asks Siri. One morning, Siri told her it wasn't snowing, and she suspected it was. She asked Siri several more times but got the same answer. Finally, Siri told her, "I believe you're right. It's snowing. I think there are some writers who already do use this method. I can also imagine a technology where you dictate into the computer and it types your words onto a screen. It's fascinating to try and imagine the future of technology. Great post!